As revealed in early April, Downtown Bellevue will welcome several thousand Amazonians to the neighborhood over the next four years. They will occupy a combination of existing office space (Centre425, 333 108th-Expedia Building, and Summit 2 co-working space) and a new tower under construction (Summit 3). Microsoft and Amazon will soon be Downtown's largest office tenants, taking about 25% of the total office inventory. We're grateful that employers like Amazon and Microsoft, as well as the properties mentioned above, are BDA members and partners in shaping the future of Downtown Bellevue. The net number of new jobs from the Amazon move falls within Downtown Bellevue's job growth forecast, which projects a total of 71,000 jobs (all jobs) in Downtown by 2030. The forecast number has been an important input for infrastructure and program plans and how we anticipate change in the built environment. Amazon will occupy a tower soon to be vacated by Expedia and a project that has been in the development pipeline for nearly 10 years. The BDA continues to advocate for all mobility projects to come online as planned, and we continue to work with members, the City and regional partners to look at new solutions and accelerate improvements to access. In part due to the tight office market, strong demand from tenants, and record economic activity in the downtown area, we are seeing a surge in the number of proposed office projects. This development activity falls within the existing "zoning envelope" for planned growth under the Downtown Land Use Code. Assuming demand is there and the vacancy rate holds, Downtown could reach the jobs forecast number sooner than 2030 should every proposed project start and occupy within the next five years. However, history tells us this is an unlikely scenario. 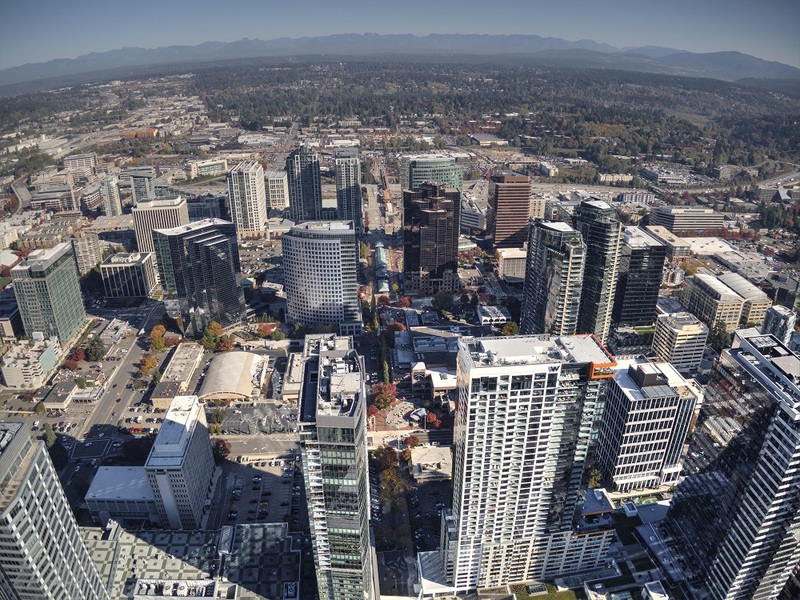 The current permitting activity for both office and housing is an extremely positive indicator for economic growth and reflects confidence in Downtown Bellevue's future. We're all closely watching the pipeline and plans as they emerge.